We will offer postal rebuilds for batteries and chargers. As many bikes as possible (and mobility Scooters) will be listed with information on their battery types or we will supply batteries on their own. 2 x 12volt 12amp SLA @ £35 each = £70 for all lead acid based Currie bikes. 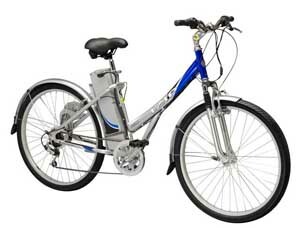 3 x 12volt 12amp SLA @ £35 each = £105 for all 36volt electric bikes. 4 x 12volt 12amp SLA @ £35 each = £140 for all 48volt scooter based electric bikes. Batteries are electrochemical and they have their own personalities, few battery packs are identical in their behaviour. 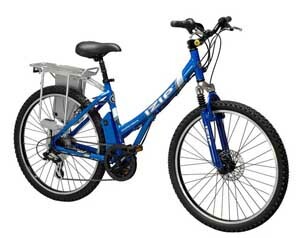 2 people can buy the same ebike model at the same time and have completely different experiences with their batteries. 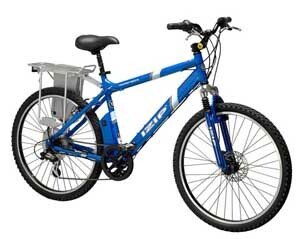 The differences between budget & well made ebike batteries are significant. As an example many of you at one point or another may have opted for a cheap generic battery over Duracell and realised that the economy is a false one for you and a waste of materials. We have studied the theory behind batteries (this can keep you busy for a long long time) but the most useful information has come from our customers. No matter what the lab tests say there is no replacement for the dynamic testing of end users and all of that rich feedback we learn from and translate into the best services for our customers. The electric bike industry has been waiting for your interest to become significant enough to allow more effective battery technologies to be offered at reasonable prices. That is starting to filter through and the following are the main pros and cons of the most frequently used battery technologies. Cons: heavy, battery cells can age quickly and die, no fast charge option, no storage option. Cons: Need interval discharges and servicing, suffer from memory effect, performance radically reduced in cold weather, no storage option. 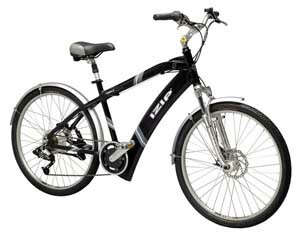 Lithium-ion (Li-ion) If any store tells you that their ebike battery 'is the latest technology' ask them what that means. If they say 'Lithium' ask them which type of lithium ('ion' or 'polymer' refer to the electrolyte that holds the chemistry not the chemistry itself so don't accept those as answers) and what that means to the performance of the machine. You need to discuss which Lithium chemistry suits your requirements the best, otherwise you may not get the performance you envisage and unsuitable use of the battery may lead to a shorter life with high replacement costs. This is where it gets really interesting from now and into the future and some basic knowledge is required for you to understand the role of the differing lithium chemistries. Energy is released when the ions (in this case lithium-ions Li?) move from the positive anode to the negative cathode through the electrolyte. The anode is usually graphite, the electrolyte is usually a solvent based lithium salt. The currently interesting and available chemistries are mainly focused on changes to the Cathode material which is usually a lithium based oxide. 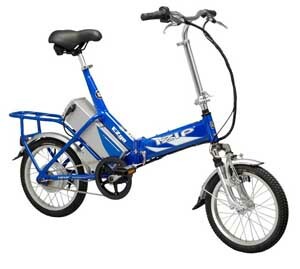 On ebike batteries you will currently see the following Cathode Oxides: Lithium Manganese LiMn2O4, Lithium Nickel Cobalt Manganese LiNiMnCoO2, Lithium Manganese Cobalt LiMnCo, Lithium Iron Phosphate LiFePo4. The exception to the above is Lithium Sulphur LiS which uses a lithium anode and a sulphur solvent as a cathode. The potential for Lithium Sulphur is very exciting because each sulphur particle can hold 2 lithium ions compared to less than 1 ion for most other chemistries. Talk to us about which lithium chemistry is the best fit for your requirements. Pros: Very lightweight, very high energy density, durable, no maintenance, fast charge, can be stored. Pros: Lightest battery available, highest energy density, no maintenance, fast charge, proven high level of stability under extreme laboratory tests, flexible shape, low self discharge, can be stored if care taken, wide operational temperature range. Cons: Most expensive, will suffer if incorrectly stored for a short time, can suffer thermal runaway and pose a fire hazard if charged after a period of incorrect storage or if the BMS has catastrophically failed, charging can be complicated. SLA: Like a car battery your lead acid battery takes a few cycles to get to peak performance, once there it should be topped up as often as possible. The reason you get a 3 year warranty with many car batteries is that they are being charged every time you run the engine and this means they rarely experience 'deep discharges'. The less full cycles you do the longer your SLA battery will last so top up when you can. Nickel: NiCd and NiMh batteries are tremendously robust; they can deliver high amounts of current and be 'exercised' back to life when they start to die. As with most batteries the most important thing is to keep them topped up, however they are known to suffer from 'memory effect' or 'floating voltage'. To address this problem they need to have periodic full discharges and as they age the number of full discharges required each time increases. For a NiCd battery this period is every month and for a NiMh it is every 3 months. If a NiCd battery appears to be almost completely dead it may be brought back to health by isolating each group of cells and charging with very high currents, this should be left to someone qualified for the task. Lithium: No matter which type of exotic lithium chemistry is used the battery maintenance follows a simple rule: keep it topped up! A lithium battery that will perform say 800 full cycles may well perform 2,000 half cycles. The trick is to get a bigger battery than you need for your journey or carry the (usually small) charger with you and take advantage of 'opportunistic charging'. Reducing deep discharge cycles increase lifetime and performance over the lifetime. If the battery will not be used for more than 4 weeks it should be stored at a storage voltage of approximately 40% of it's operational voltage, e.g. a 36V battery should be stored at roughly 39V. Lithium batteries are the main focus for battery R&D; there are very good reasons for this such as: high energy density (energy/litre or Kg), low weight, flexibility of application, reduced internal resistance, longer life cycle etc. High Energy Density/Low Weight: The honey pot of honey pots! A number of companies and universities around the world are claiming that they can increase the energy density of Lithium based chemistry by over 10 times....that would truly speed up this pending transport revolution. Prof' Peter Bruce of the University of St Andrews in Scotland is one of the people claiming success in this area. Fast Charging: Many companies have now demonstrated technology for rapidly charging batteries, especially lithium batteries. There are products available on the market already and there are batteries designed to cope with the high currents required. Altair Nano and Toshiba have developed lithium batteries capable of taking huge currents without thermal overload. The key is the low internal resistance and without getting too technical, both companies achieve this by eliminating graphite in the porous separator and using nano particles to absorb the lithium ions. Long Life: a bonus of low internal resistance is that an increase in longevity occurs. Battery life spans are normally related to the number of full charge and discharge cycles a battery can do before it looses 30 to 40% of it's capacity. 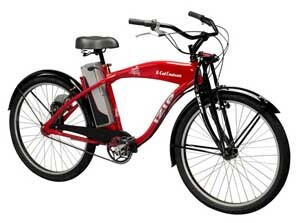 Altairs Nano Titanate battery has now achieved over 20,000 cycles and Toshiba's has achieved 9,000. In the future you may well have to include your batteries in your will! What exactly is an electric vehicle (EV) battery? Keep in mind that good EV batteries have enough energy to carry a 90 kg man over hill and dale for close to 20 miles. That is a LOT of energy! A battery is not just one solid piece, but a collection of “cells". The cells are one complete unit of anode, cathode and electrolyte that produce electricity from a chemical reaction in the cell. Each cell type (also called a cell's “metallurgy”) has a nominal voltage. For example, NiMH (Nickel Metal Hydride) is about 1.2 volts per cell and thus we need to combine a bunch of cells to get the voltage we use in an electric motor. So 30 cells gives us 36 volts (not exactly – but you get the idea) and we have a useful voltage. For comparison, Pb (Lead Acid) is 1.5 volts per cell. How do you measure a battery's capability? Amp Hours are the most common way to describe the amount of electricity in the cells – and all that talk about “watt hours” is really the same thing, times the voltage (Volts x Amp hours = Watt Hours). The capacity of one cell in Amp Hours is also the capacity of the entire battery in Amp Hours. One 7 amp cell is 7 AH at 1.2 volts. If you need 30 of them to get your required voltage, you still only have 7 Ah in usable energy – at that voltage. To put this another way: More Amp Hours means you can go farther, at higher speeds and up bigger hills. But more Amp Hours usually costs more money, and weighs more. Also in our experience you rarely get the Amp Hours stated out of the cheaper batteries. In fact you hardly ever get close. Max current means essentially “How fast can the cell discharge energy?” Think of it as a can full of water. The can is the cell, the water is the electricity – the larger the cell, the larger the amount of water – and the water flows out of a hole in the can. The larger the hole, the faster the water can come out. In terms of a battery, if the discharge (the hole) is not big enough, then the motor may not be able to get enough energy (the water) to function at max performance. You could also think of the max current as “how big the fuel line is". Some people will describe max current in terms of max amperage that the cell can endure and for how long. Another way is to describe it in terms of “C”, or “at what rate can the battery be discharged for one hour = 1C. An example is: If a battery can be discharged at a 10 amp draw and will last for one hour, than it is a 10Ah battery at 1C. What are some problems with battery construction? Most consumer electronics battery applications use a tiny handful of cells. For example, a cell phone battery could be 3.6 volt, three NiMH cells in a battery inside a plastic case. In EVs, there are usually more than 30 or more combined cells. Each cell is connected to another with a small tab of metal called a “connector.” Each connector is a potential point of mechanical failure, and a small resistor. Large packages of cells also create heat problems. A cell buried inside of several layers of other cells has no way to easily shed heat developed during charging or discharging. Heat leads to failure, diminished performance and longer charging times. Each battery type has different capabilities, needs, and limitations. So, very careful engineering tailored to the type of battery being used is needed. There is a trade off in terms of cost, weight, capacity, system complexity, and safety involved in all battery engineering choices. All of these factors must be brought in line with one another to create a safe, sound solution. A big part of preventing catastrophic failures (like the kind that burn down houses) is a “battery management system". This BMS component is what prevents the cells from over-discharging, overheating, charging incorrectly, and other things that could cause problems. The BMS also manages cell charge and discharge to get optimal performance and life from the battery package. Physically, this is a printed circuit board with a complex and often IC-controlled circuit. Welcome To A New Range Of Budget Priced Electric Cars. Only £6750 For The Angelo Convertible. Only £7350 For The Double Battery Fly. We will deliver anywhere in the UK and Europe ready to go with EU type approval certificate. All you have to do is pay for your local road tax(free in the UK), registration and number plate. 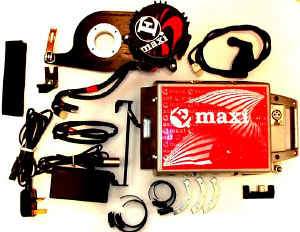 All cars come with FM radio, spare wheel, Jack and on board charger. 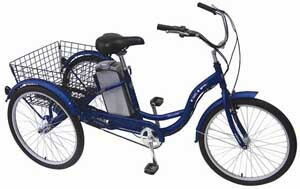 This is the new Fly 2 seater commuter Electric Car with a double battery system for extra range. The Fly Inside. Only a throttle, brake and hand brake. The convertable Angelo in white. Fun, fully convertable with add-on side panels for wet weather. The convertable Angelo in yellow. Alloy wheels, Morgan sports car looks. The convertable Angelo in red. The convertable Angelo inside view.